The fixtures come almost as quickly as the runs in the Vitality Blast with GM players once again providing a number of match-winning contributions all over the country this week. Graham Clark made the highest score of the week for GM, striking a boundary-laden 65, including seven 4’s and three 6’s as his Durham side beat the Birmingham Bears. Having been asked to bat first, Clark opened the batting and put on 126 for the first wicket, laying the platform for Durham to reach 220/6. Despite a partnership worth 110 for the fourth wicket, Durham’s total proved too much as Birmingham were only able to make 202/5 from their 20 overs. A couple of days previously, Clark was again in the runs, this time his efforts were in vein as he was on the losing side against Yorkshire. 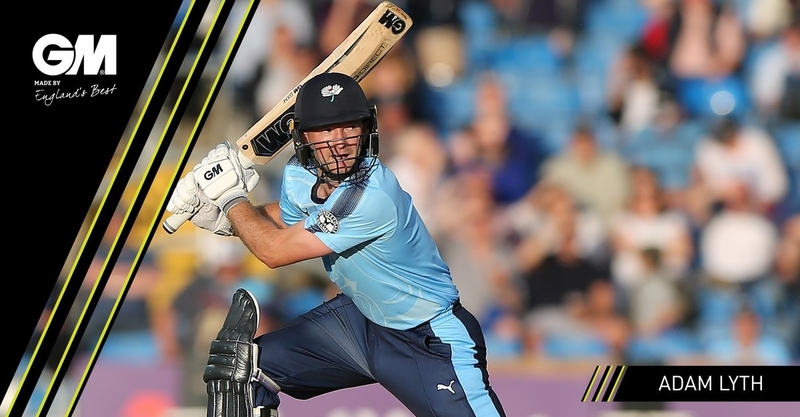 Adam Lyth got his side off to a cautious start, making 17 from 19 balls, but on a tricky pitch, no player was able to take the game away from the bowlers, with the Vikings eventually making 157/6. Clark once again opened the batting and laid another terrific foundation, putting on 77 for the first wicket before Matt Fisher broke the partnership. Clark went on to make 39 before he too fell to Fisher, with the score 99/2. Unfortunately, Clark’s teammates were unable to make the most of the platform, stumbling their way to 147/6, 11 runs short of their target, with Fisher finishing with figures of 2/26. Yorkshire made it two wins in a row against Worcester soon after, as they racked up 179/7, with Lyth making a quick-fire 21-ball 35 to get his side off to a rapid start. His teammates continued where he left off as they made their way to 179/7 from their allotted overs. Worcester’s reply saw them lose wickets in regular intervals, meaning that their innings lacked the fluency required to mount a serious challenge, even with their hard-hitting overseas batsman Travis Head in the middle order. Head managed 23 from 23 balls, but he was dismissed with the score 58/5 which left his side struggling to keep up with the run-rate as they eventually finished 12 runs short of their target. Derbyshire, meanwhile, suffered two defeats in a row this week, firstly at the hands of Nottinghamshire. Batting first, the Outlaws made 175/8 in a game reduced to 19 overs per side. The Derby innings was hampered by some fantastic bowling displays from the GM bowling cartel of Harry Gurney, Luke Fletcher and Samit Patel. Gurney finished with figures of 2/30, including the wicket of Daryn Smit who made 15 before being trapped LBW. Patel also picked up a wicket, that of Wayne Madsen who laboured to 6 from 14 balls, before he too was out LBW, to finish with figures of 1/21. Though Fletcher didn’t pick up a wicket, his fantastic economy rate of just 4.56 helped restrict the batting line-up to just 139/9 from their allotted overs. 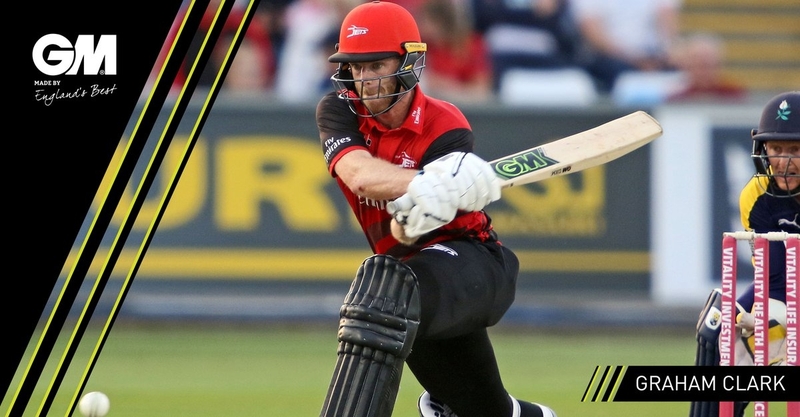 Alex Davies marked his return to the Lancashire side with a valuable 31 at the top of the order as the Lightning faced Derbyshire at Old Trafford. His efforts, along with Dane Vilas (11) and Jordan Clark (20*) saw the home side reach 157/8. Derby’s innings didn’t get off to the start they would have liked, losing Ben Slater in the first over for 5, before Madsen entered the fray, adding 34 runs with six 4’s. His efforts were supplemented by Smit’s 28, however they were unable to get their side over the line finishing 145/7, just 12 runs short of Lancashire. Vilas rounded off his display with the bat to take three catches and a stumping in the field. In another rain-affected match, Gloucester hosted Somerset with only 11 overs per side available. Somerset posted a competitive 114/8, including 19 runs from their captain, Lewis Gregory. However, Ian Cockbain showcased his talents with a match-winning innings of 43* from just 22 balls, including four 4’s and two 6’s, as his side chased down their target with 5 balls to spare. Elsewhere, Essex hosted Glamorgan in what turned out to be a dramatic run-chase. Essex had first crack at batting, beginning well with Westley (26) and Ryan ten Doeschate (43) laying a solid platform. However, a spectacular batting collapse saw them slip 117/3 to 167 all out with three run outs. Glamorgan suffered a collapse of their own, but unlike Essex, they were saved by their middle order who saw them home with a 4 off the last ball of the innings. 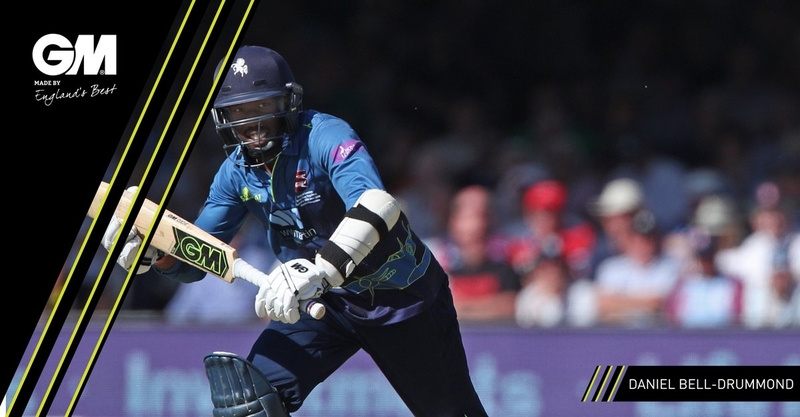 Finally, Kent hosted Hampshire at the always high-scoring ground in Beckenham, as Kent plundered their way to 210/4, with Daniel Bell-Drummond making 46 at the top of the order before driving straight into the hands of James Vince. Hampshire’s chase couldn’t have got off to much of a worse start, as they lost 3 wickets in the first seven balls, reeling at 3/6. However, they were superb in their recovery efforts as they managed to reduce the deficit to needing 6 runs from the last ball. They were scuppered by a good Yorker, but their fightback at the end will have given them some positivity going forward in the competition.